From the Caribbean to the Pacific, Fish the Best of Costa Rica. 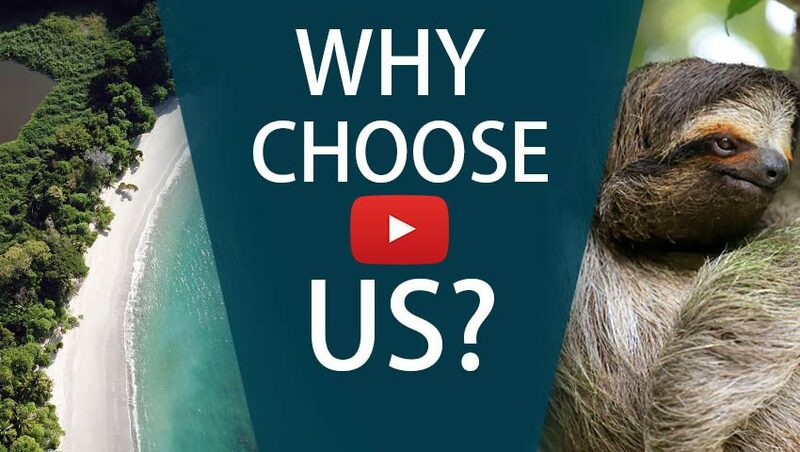 Come see how diverse and beautiful our Costa Rican coasts are! Try your luck coast to coast fishing Costa Rica. On the Caribbean coast you’ll fish for giant tarpon and snook. 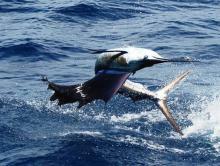 You’ll then fly across the country, to the Pacific Coast and look for sailfish, marlin, dorado and roosterfish. This vacation will let you see an incredible array of wildlife and natural beauty. And enjoy world class sport fishing, of course. Simply put, this is one of our favorites and an absolute must for any angler! 2 2-day full-day offshore fishing tour in both coasts. Fish from sunrise to sunset! Your first port of call is the remote and stunning Tortuguero. Getting to your hotel will be an adventure in itself. A panga will take you through deep jungle. As you near your resort, you’ll see how the undergrowth gives way to rivers the size of 8 lane highways. Here you will enjoy a world away from it all where the animals still rule. From turtles to sharks and, of course, some of the world’s largest tarpon. From Tortuguero, you will board a short internal flight back to San Jose. Then, you’ll go on to Quepos and some of the world’s greatest sport fishing grounds. 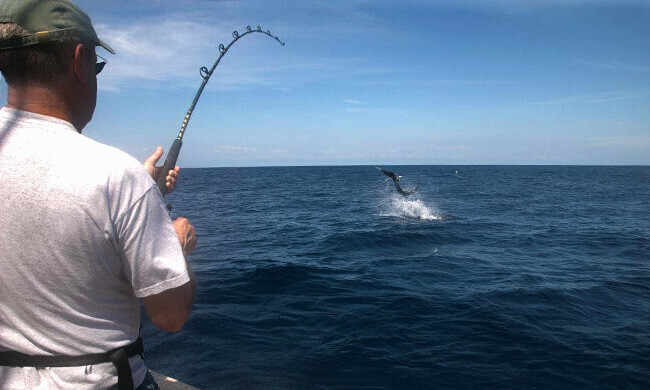 Marlin, sailfish, tuna and more await you in the blue waters offshore. We know so much adventure will probably leave you exhausted. 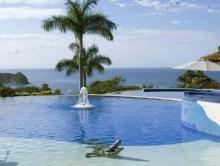 This is why we have arranged some of the best hotels Costa Rica for you to relax in. Arrive into San José, Costa Rica, where our “Meet and Greet” service will take you to your private transfer. On this coast to coast fishing Costa Rica vacation you’ll spend your first night here in the capital city at the beautiful Grano de Oro Hotel. This former colonial mansion is home to one of the finest restaurants in the country. Head out early in the morning for your transfer to Tortuguero on the Caribbean Coast. This diverse paradise is also home to world-record tarpon and snook. 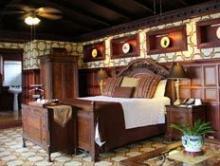 Check in and get settled in at Aninga Lodge. Day 3 & 4: Ready for Some Tortuguero Fishing? Head out fishing with one of the country’s best tarpon guides. Depending on what you catch on day three, you can also opt to fish the freshwater canals. If saltwater is what you prefer, you can look for snook, snapper, jacks, kingfish, and even wahoo. You will board an early morning flight from Tortuguero back to San José. Once back in the capital city and main hub, we will take you out to Quepos on the Pacific coast. The second half of your fishing vacation begins! Take advantage of this down day to rest your muscles and settle in at El Parador Resort. Now it’s time to see what the Pacific Ocean has to offer us. You’ll run off shore for a full day of chasing marlin, Pacific sailfish, yellow-fin tuna, wahoo, and dorado. Your private charter will get you to the offshore fishing grounds in less than an hour. Relax and enjoy the beach or let us take you on a canopy zip line tour! Day 8: Make Your Last Day Count! This will be your fourth and final day of fishing, so make it count! Have you landed enough billfish the first day and want to try something new? You can stay in-shore and go after snapper, grouper, barracuda, jacks, mackerel, and rooster fish. We will pick you up and take you to the Quepos Airstrip. Board your domestic flight back to San José, where you’ll catch your flight back home. This is a great hotel for no-frills, wildlife experience. Set in the rainforest, it's five minutes away from Tortuguero National Park. 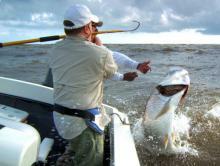 Get ready for an exciting day on the water targeting the mighty Silver King (Tarpon).